Urban Decay Gwen Stefani Lipstick 'Rocksteady'- I got this lipstick new this month. I was quite ill at the beginning of March so decided I needed to treat myself to something to cheer myself up. So this happened. I will be reviewing this very soon but sneak peek: I really like it! Plus, can we all appreciate how beautiful the packaging is? Lancome Juicy Shaker 'Meli Melon'- This is something I'd never thought I'd ever own or like. I don't like lipgloss and I don't like pink. So how did this happen? My first product from Lancome which I won in a giveaway and it is honestly one of the most fun make up items I've ever tried. Review coming soon! W7 Go Colour Corrective Concealer 'Green'- I've had this since sometime last year and the reason it is in my favourites this month is because I'm so surprised it has lasted me so long. I use green corrector concealers on the majority of my face nearly every day so I love how long this has lasted. Probably the one I've used the longest! You can read my review on it here. 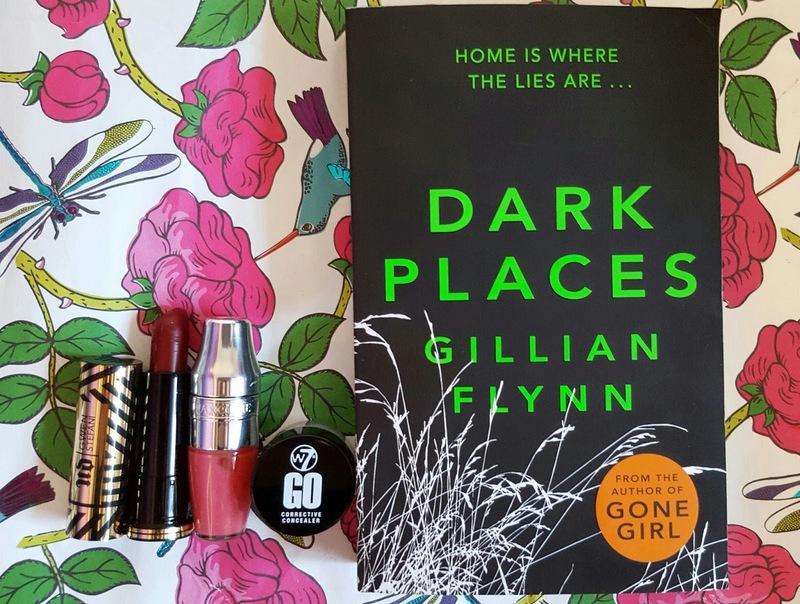 Dark Places by Gillian Flynn- Oh. my. god. This book. I don't want to leave any spoilers, but lets say this book left me feeling shaken up. I read this in under 24 hours because I was so incredibly gripped by it. I felt so many emotions reading it and I do cry at books a lot, but never have I ever felt so shaken up by a story before. I literally sat in silence for 5 minutes after finishing trying to come to terms with what I've read. A few graphic scenes, but definitely an enticing read! What were your favourites in March? Here's to April: my birthday month! The Only 1 range claims to have high impact colour, be long lasting and moisturising to wear. This is why they're called the Only 1 range as they say that these lipsticks do everything that you would want from a lipstick and would be the only ones you need. The range are in black, sleek packaging with a circle of colour near the end which matches true to the colour of lipstick. 'One-of-a-Kind' is a bright red berry shade which is one of my favourite colours to wear. I have unintentionally bought so many lipsticks in a berry shade! It is a matte colour, not so matte as the MAC ones but matte with a slight sheen. I do really enjoy this colour and wear it often, especially to work. The colour pigment is certainly high and creates a very opaque lip. The lipstick bullet is slanted which I like as it makes it easier to apply and work around the shape of your lips. In addition to loving the colour and the shape of the bullet, I also like how it feels on the lips. I agree with the claim that it is moisturising as it glides on the lips wonderfully without dragging. It does not feel drying at all and doesn't give that 'tight' feeling some lipsticks can give. The application is easy and you don't really need to layer it on. Despite liking quite a few things about the lipstick, I do have some faults with it! The main one being- it smells so BAD! I had heard this before I received the lipstick but I still wasn't prepared! Fortunately you cannot smell it once it's on but it really does smell awful. I don't even know how to describe it. However, this does not stop me using it. The other thing I dislike about the lipstick is how it bleeds. Rimmel state that these lipsticks have really good staying power, and although it does stay on well if you don't eat or drink or only eat/drink a small amount, if you eat something slightly greasy or a big meal then it bleeds so badly! If I am at work and have a little snack and a quick drink in my break it is fine, but by the end of tea time it has bled into all the lines around my lips and smudged out at the corner of my lips. It then becomes hard to apply over top and fix and would be far easier to just remove and then reapply from the start. I would expect it to fade when eating a meal, but not to bleed so much! Plus this is in use with a lip liner. To conclude, there are things I like about this lipstick and things that I don't. I love this colour, the packaging, the bullet, application and how moisturising it is. On the downside it smells awful, bleeds and smudges like nothing else. Despite the downfalls I honestly do like this lipstick and I wear it very frequently. I wouldn't recommend it if you were going out for a meal but if it's just to wear throughout the day without a big meal then it is going to stay on just fine. I would buy another one of these lipsticks as the price is also great at £6.99 and I would buy it as a present. Have you used any of these lipsticks? 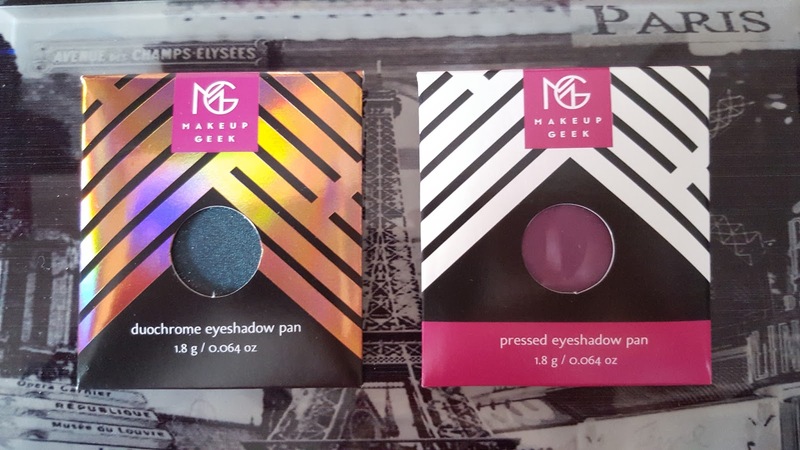 I had known of Makeup Geek for a long while due to being subscribed to her on YouTube, so when I saw Makeup Geek had come to Beauty Bay I knew I wanted to try out the eye shadows. It seems all YouTubers and bloggers alike love them and I've never heard a bad word about them! 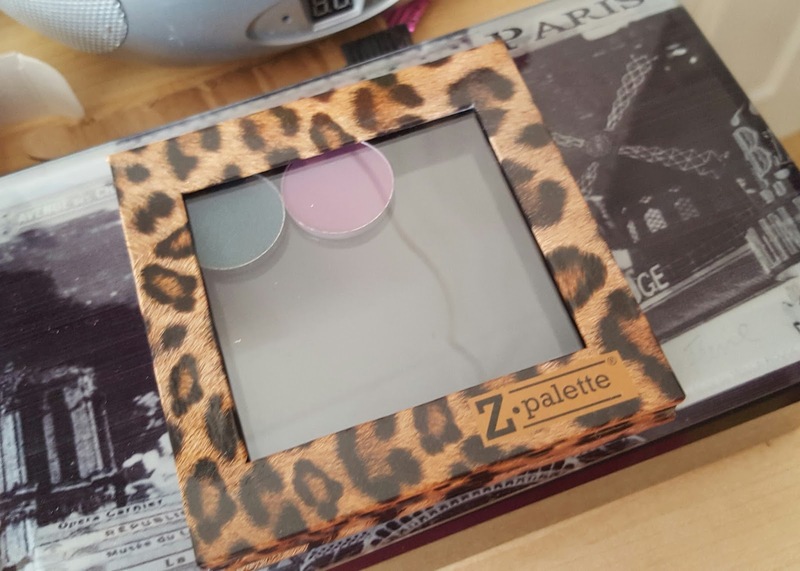 As for Z Palette, again I heard about them plenty of times from YouTube/blogs and I knew a lot of make up lovers had been using their Z Palettes to store Makeup Geek pans. It seems like a match made in heaven! Lets talk about Z Palette first. For anyone who doesn't know, Z palettes are empty make up palettes which are magnetic. You can use them to store pans of make up as they stick like magnets to the palette. The Z palette also comes with little circles and strips of metal just in case the product you're decanting doesn't have something it can attract to the magnet. I decided to buy one that fits about 9 small pans in it. I didn't want to spend too much money on the little palette I was going to build and that 9 would be a good amount. The bigger Z palettes are more expensive but I figure they would be really useful for saving space in your make up collection if you can decant a whole bunch of them. I chose the leopard print because it stood out and I have a bad habit of going for the black colour of everything in my life! 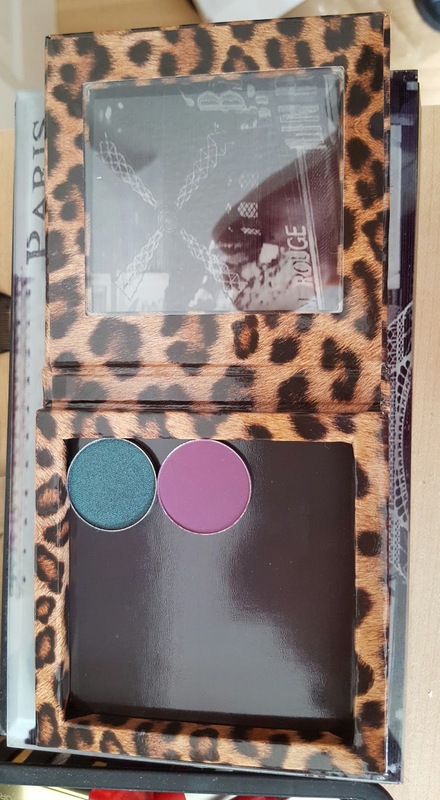 As for the eyeshadows, I knew I wanted to a build a collection of colours which I think are missing from my collection. My plan isn't to make a coordinated palette of colours that would necessarily go together, but rather find colours I am missing in my collection. For example, although Makeup Geek do absolutely stunning blues, I already own many shades of blue so will try to steer clear of them! I've so far bought two colours. 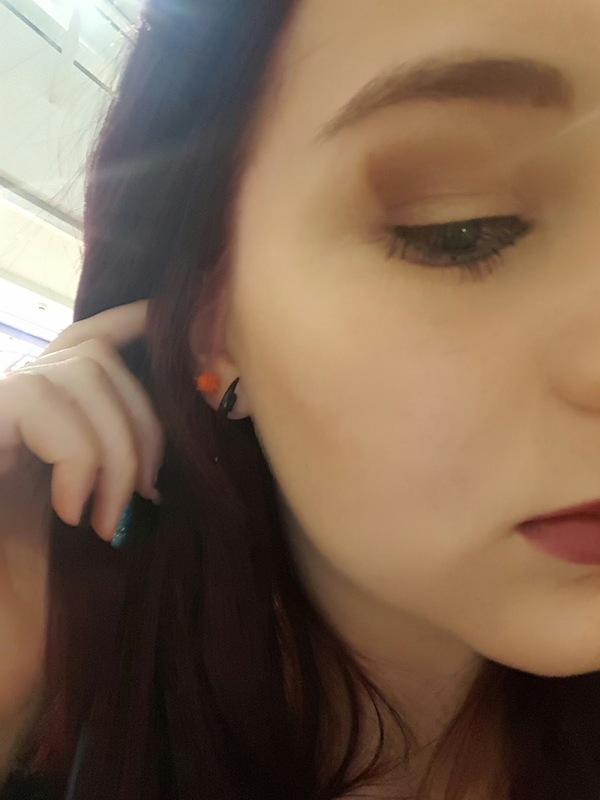 The first colour I picked was a matte eyeshadow called 'Curfew'. Despite the fact that I love the colour purple I don't really have many shades of purple in my collection so I picked out this. In photos it looks more pink than purple but it does come out more of a light purple on the eyes! The second colour I chose was 'Secret Garden' from the duo-chrome collection. I knew straight away I wanted a green eyeshadow as I don't believe I own a green one otherwise. This is stunning and is high-shine; showing different tones of the moss green in various lights. It is certainly beautiful and I even filmed a video of it on my Instagram to show how the colour varies in light. 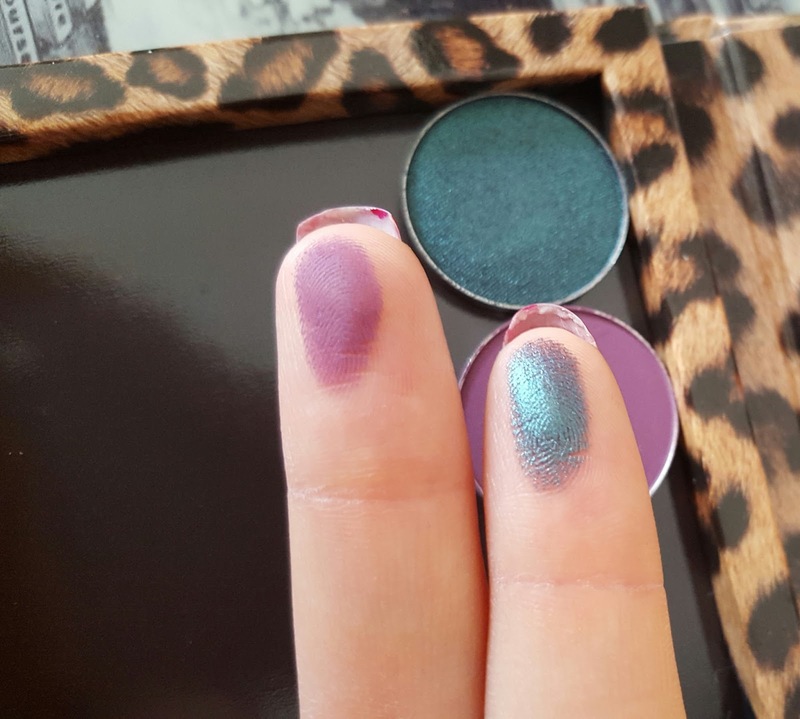 Now let me tell you: These eyeshadows are the SOFTEST eyeshadows I have ever used! The Urban Decay eyeshadows are fantastic in the fact that they are so damn buttery, however these Makeup Geek ones feel so soft! It seems bizarre to describe an eyeshadow as soft but when I was using them I couldn't get over how soft they felt to apply and blend without any tugging. They glide on and blend so perfectly! Lasting power does seem to be pretty impressive too and I am just so incredibly eager to expand my collection. There's something so satisfying about building your own palette and I really do recommend it to all you make up lovers out there. You can build a palette of multiple shades of one colour, a palette of colours that would all go together for various looks or like me, include colours missing from your make up collection already. When you buy palettes sometimes there will be 1 or 2 colours you don't use or like so much, which you don't really run the risk of when creating your own! I am planning to buy my next few soon so I will certainly update you all on the progress of my palette. 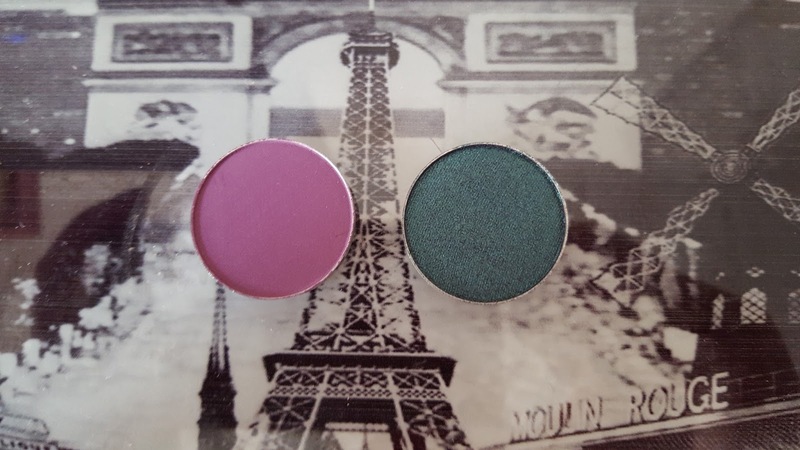 Do you like Makeup Geek Eyeshadows? If you've been reading my blog for a while then you would know that at the moment I am on a gap year with plans to travel. I have already been to Spain so far with friends and on February the 10th my friend Antonia and I went to Dublin for 3 days. Neither of us had been to Dublin or Ireland. We only booked it a month previous and just thought, why the hell not? To give you a bit of context, Dublin is the capital of the Republic of Ireland and is not in the UK. Down the middle the River Liffey lies with either side being the North side and South side. We found that the best way to get around Dublin was to buy the Freedom Pass on Expedia for £25.50. The Freedom Pass lasts for 3 days which is how long we were there for. With the ticket you get to ride the green hop-on hop-off open top bus tour as much as you want as well as being able to use the public buses to your hearts content. It also includes a bus to and from the airport, a free ticket to the Little Museum of Dublin, a guidebook, a city map and vouchers to other attractions and restaurants. This seemed the cheapest and easiest way to get around the city without the risk of getting lost or confused. 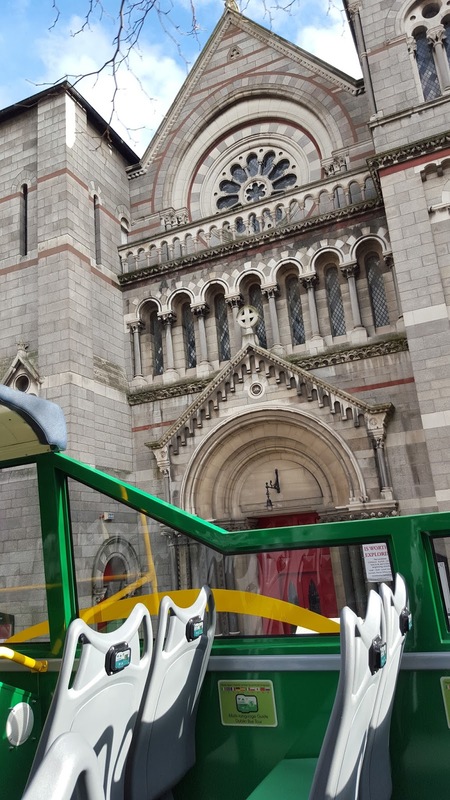 We didn't use any public buses but we relied entirely on the tour bus as it ensured we could get directly to all of Dublin's attractions and then back to our hotel. 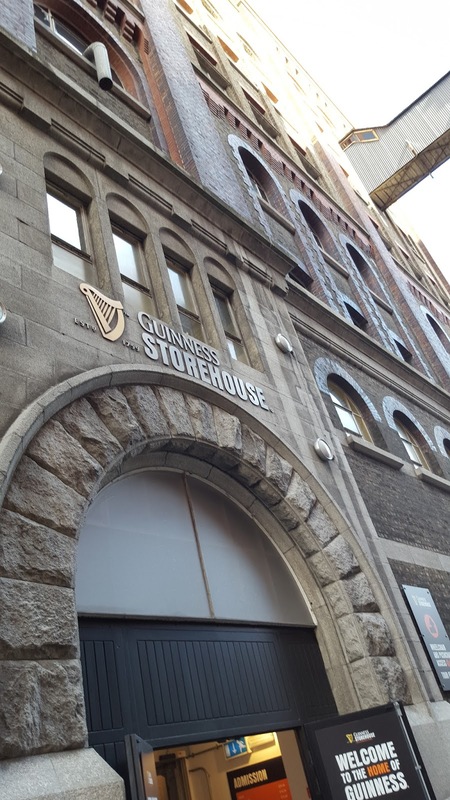 As soon as you get to the airport you can collect your pass and guidebook and someone gives you the low down on how it works and what they recommend to go see in Dublin. Then, there was a bus already waiting to take us to the city centre. The pass is so easy because all you have to do is scan it on a chip-reading machine and away you go! The buses always came regularly, I believe it was every 10/15 minutes and they really helped you to get where you wanted to go with ease. The best part was that every bus driver does their own live tour where they give their own take on the city with all kinds of facts and jokes. You get to learn so much about the city and get to see it all clearly at the top of the bus where there is only a roof on the first quarter of the bus. The whole tour lasts just just over an hour. I do recommend actually sitting throughout the whole tour and not getting off so you can see how the bus driver describes the city and its history in their own unique way. You also get to see so many beautiful buildings. If you want to be a real tourist then I really recommend getting this pass so you can use the sightseeing tour bus. 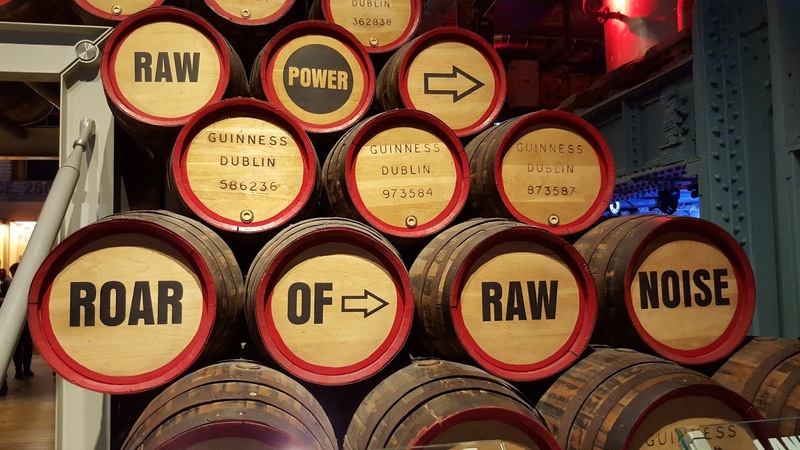 There are plenty of things to do in Dublin. 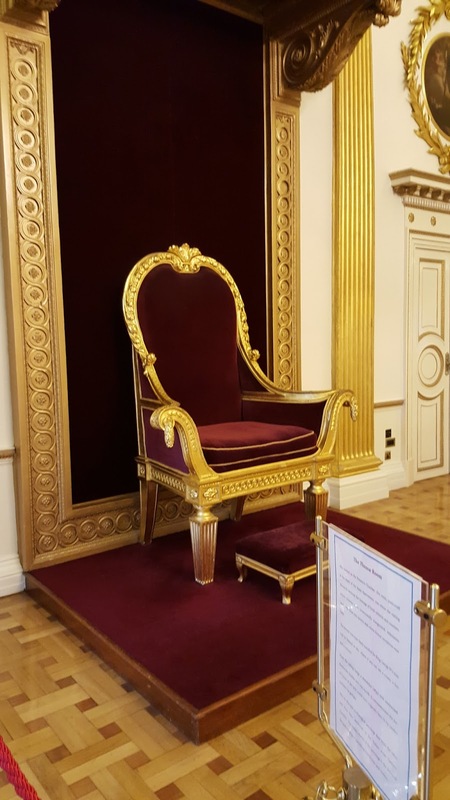 Dublin has such a rich history which you will hear about repeatedly at a lot of the attractions so if you are interested in history and the Easter Rising then you will like this. 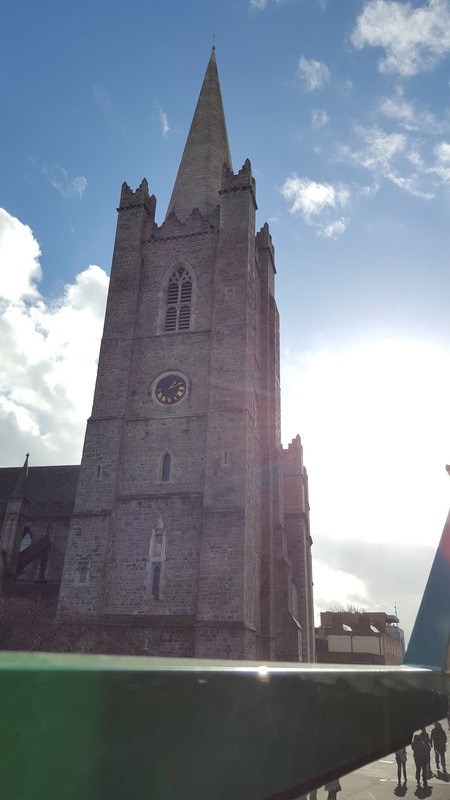 Dublin is packed full of statues in memory of various icons in their history and you'll find roads, monuments and houses all dedicated to various figures. James Joyce is a name that pops up a lot! against the windows. Don't look down! 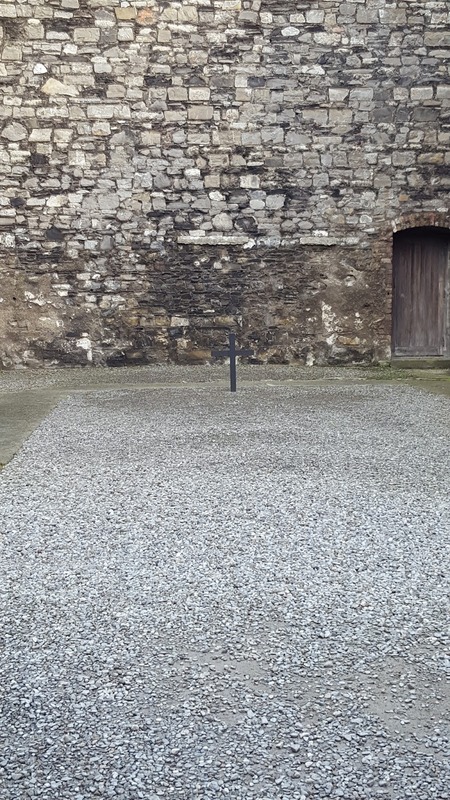 We also visited Kilmainham Gaol which is an old prison in Dublin. 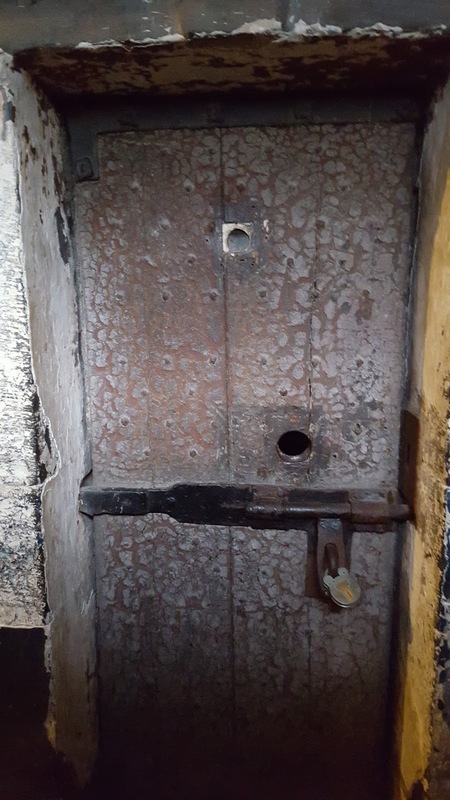 It is a mix of a prison of very old design, to the newer form of prison where the prison cells are circled around the middle so the guards can see all. You get taken on a tour through the prison by a guide who tells you so much about the prison and the people who were in it. It is so creepy when you get to look into the old cells which are dark, cold and eery. At one point you get to stand exactly where political prisoners had been executed by firing squad and stand in the room where the executioner measures the prisoner up ready to be hanged. Additionally there's a museum attached where you get to read old artefacts and even read a letter a prisoner had written to his mother before he was executed which is a pretty heartbreaking read. I strongly recommend visiting and you will leave feeling emotional. Our freedom pass allowed us into the Little Museum of Dublin so we took a trip there. On the outside it looks like a normal old Georgian house in a street of other houses, but on the inside it looks so grand. 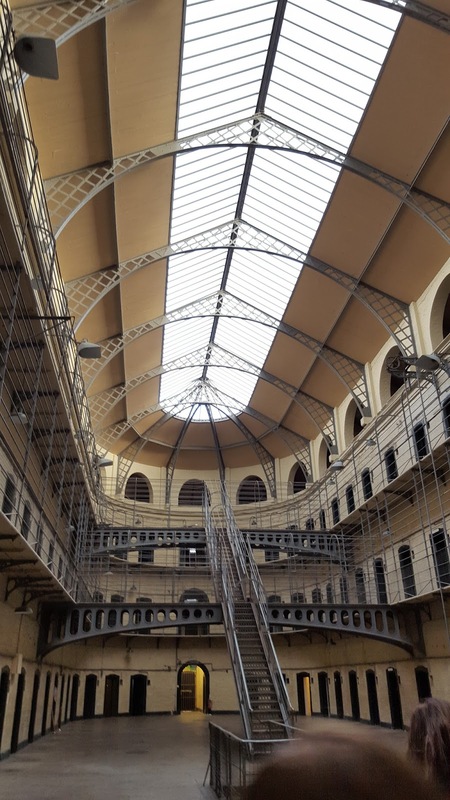 On the bottom floor you can see/view the Easter Rising in comic strip form along the walls which helps if you find reading texts boring and we also got to see about the people who were executed at Kilmainham Gaol which we were at previously. 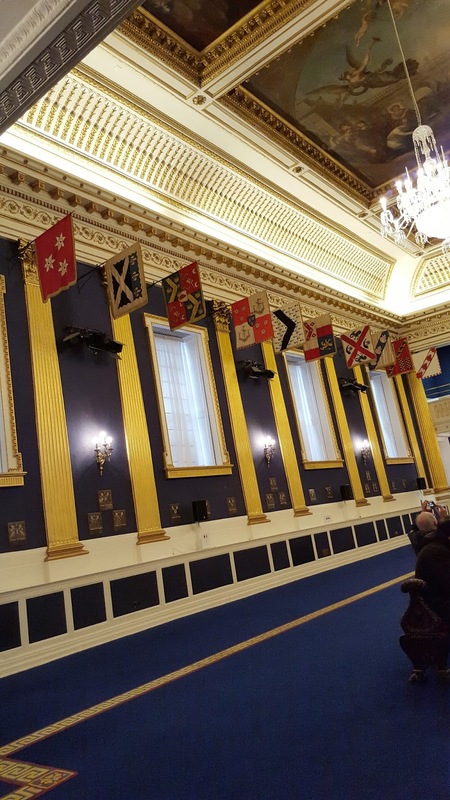 Upstairs you then get to see all kinds of history in relation to Dublin, whether its to do with the war, women's rights, newspapers, fashion or the famous band, U2. It is all, or mostly, donated by those who live in Dublin so it feels very homely and community driven. This is a nice short little visit if you've got some time to spare! 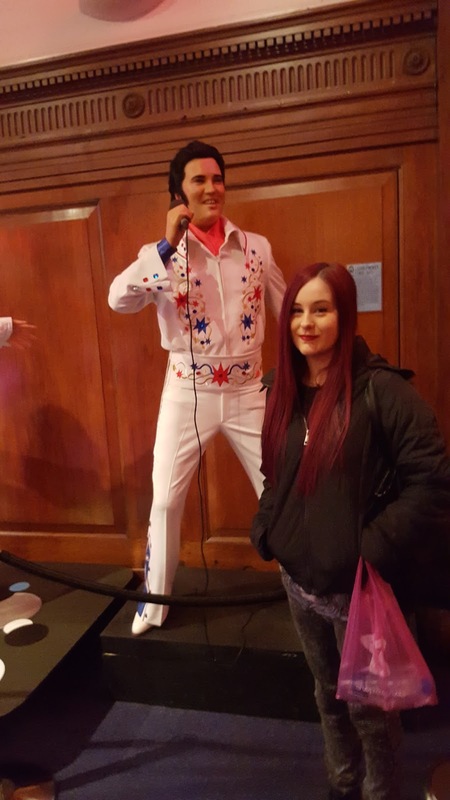 Another attraction worth visiting is the National Wax Museum Dublin which, as the name suggests, is a museum of wax figures. 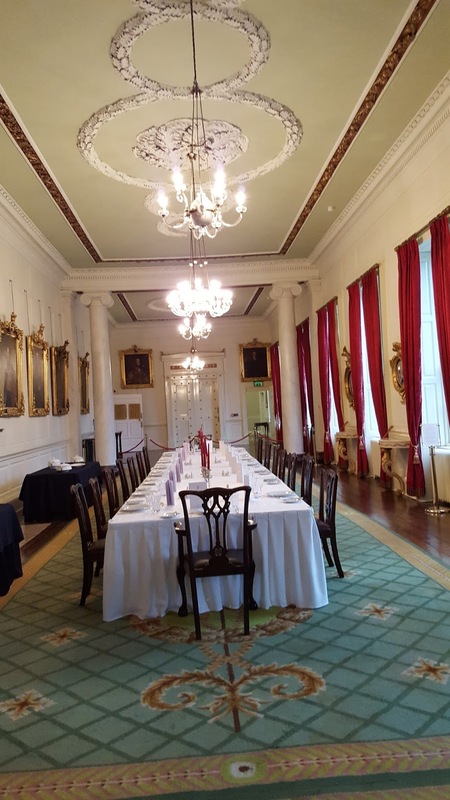 There are various rooms and levels which teach you about figures of Dublin's past, Irish athletes and other notable Irish public figures. There are also plenty of singers, film stars and animated figures such as LaLa from the TellyTubbies and The Simpsons! One of the funniest parts is that there is a recording studio which drums and a keyboard. You can select a song and you are filmed in the music video singing and playing along. We did have people walk in on us screaming the words to a High School Musical song! Additionally there is a horror area with a few jump scares. 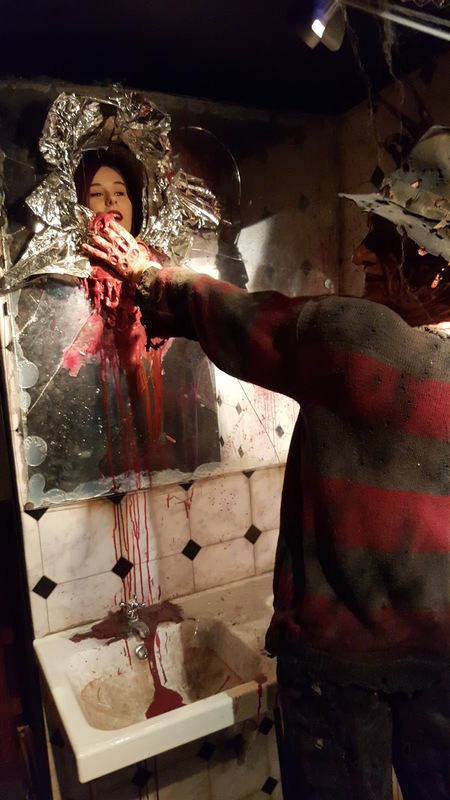 You can take a photo with Freddy Krueger, watch Hannibal Lecter try to escape his prison and see casual human skins hanging from the ceiling. Not real of course! Our last stop on our trip was to Dublin Castle. A wander around the grounds and going inside the castle is lovely, taking in all the beautiful furniture and décor. There is so much gold and luxury! It was nice to look around and see how royalty lived. They have lots many mirrors, even mirrors that you aren't even tall enough to see in! There is plenty of art and in one of the rooms there is art all over the ceiling. They have long benches in that room so I suggest lying down on them and taking a look at the ceiling. It doesn't take long to wander round overall so this could be a good one to do on your last day. These were the only attractions we managed to visit in our time there, but because the sightseeing bus takes you all around Dublin you get to see everything from the bus even if you can't be there. 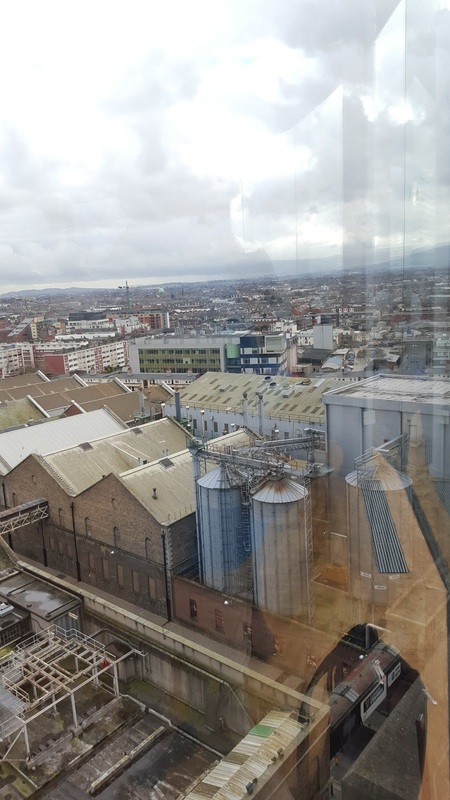 There are plenty more attractions we didn't physically go to such as Temple Bar, Phoenix Park (one of the largest city parks in Europe) and the famous Dublin Zoo, but we got to see them from the bus. You're spoilt for choice on what to do really. Dublin seems lovely for shopping. We were really close to the shopping centre where they have plenty of fashion stores. I was particularly excited about the fact that Primark is called Penney's in Ireland so went there purely just to say I've been to Penney's! They also have the likes of Forever 21, MAC, Zara, H&M and New Look. I didn't buy any clothes but did go to the Inglot stand in the mall to buy some eyeshadow. There are stores that you will find in England and stores you will not so its a nice mix of both. Had I brought a suitcase with me on the trip I might have done a bit of shopping! Dublin is expensive, there's no denying that. You will need to make sure you have spending money if you plan on eating out and going out at night. 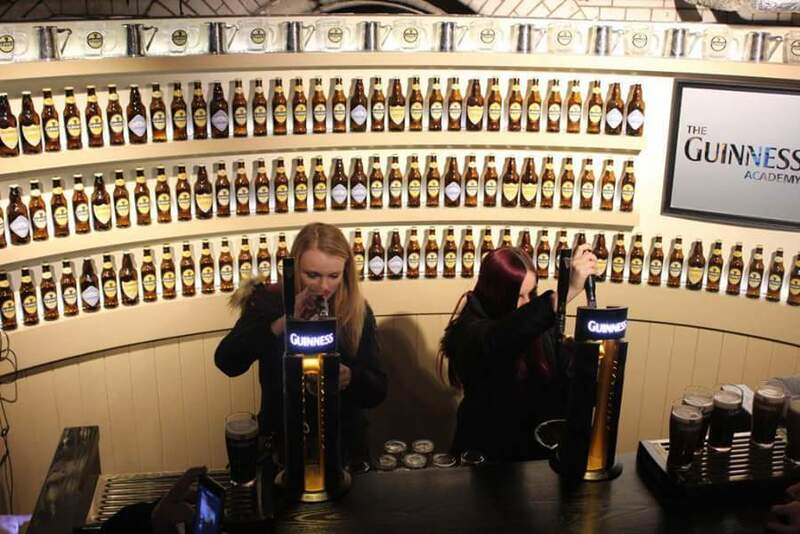 There are pubs a plenty in Dublin so you won't be short on alcohol but you will be paying high prices. 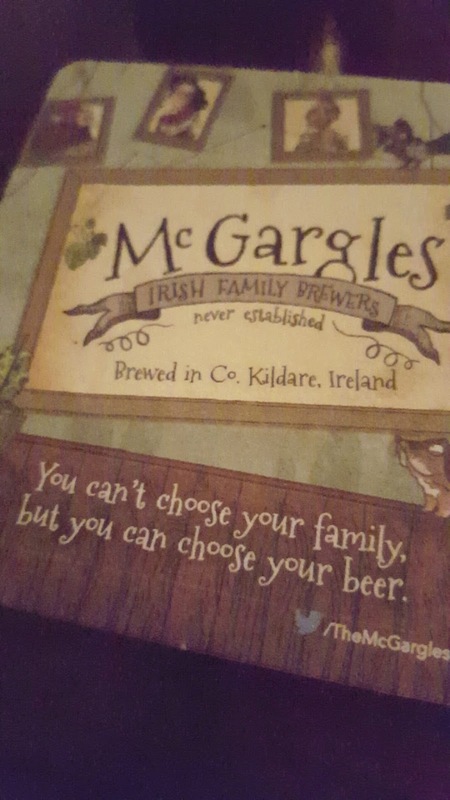 I paid 6 euros for a cider! As for eating out, we tried to go for cheaper places but there aren't many. Also, as vegetarians my friend and I didn't feel we had much choice in restaurants. We had to stick to Italian during our trip. Our favourite restaurant was The Italian Connection on Talbot Street. For breakfast, we found that it was cheaper to just go to Tesco and get pastries. We also stuck to Tesco for lunch and just got ourselves a meal deal. The breakfast at the hotel was 9 euro per day per person and had we eaten out for all our meals it would have been one expensive trip. My advice if you're on a budget is to buy what you can from the supermarket and only eat out on the night. TripAdvisor is your friend for finding what you need from a restaurant. Also, I weirdly noticed that in all the restaurants we visited they didn't offer much alcohol wise. 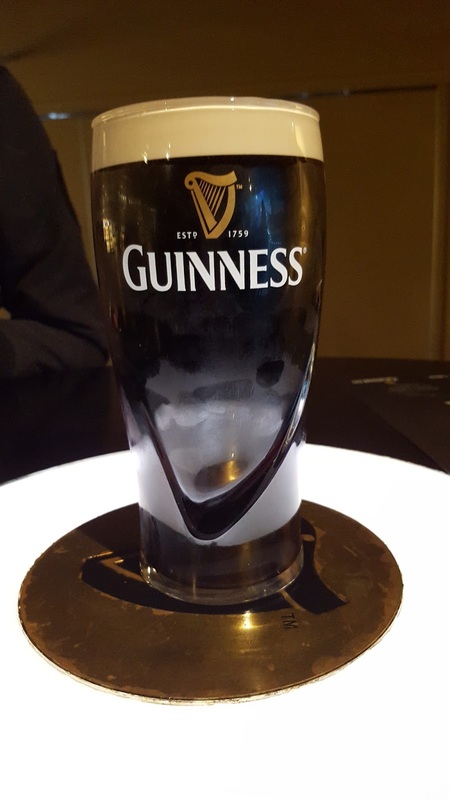 They had wine and Guinness, maybe a beer on draught, and that was literally it. 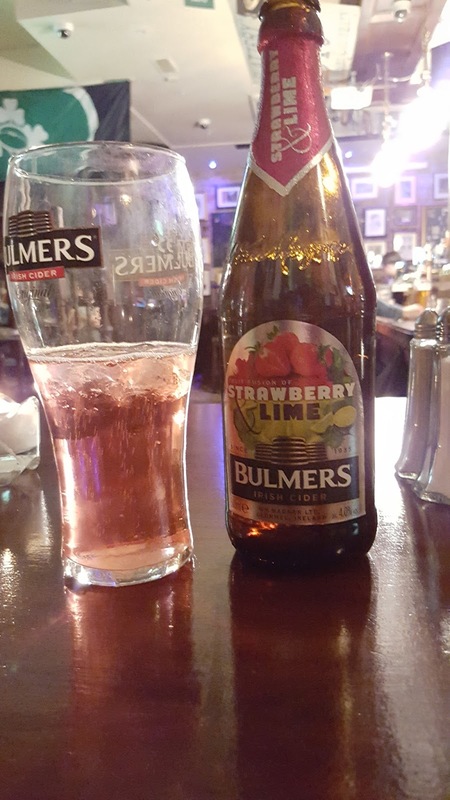 I usually go for a cider on a meal out but had to reluctantly stick to lemonade. We stayed at the Beresford Hotel, situated on Store Street, which is close to O'Connell street, where we could catch the sightseeing bus. It was really hard to find and took us an hour and asking 2 people but we finally got there. It is a budget hotel which fit our needs. The staff were friendly and the rooms were basic. They seemed fairly clean but the walls are thin so you will hear the people above you/next to you in their rooms. The room was also annoyingly hot and we had to have the window open at night. It wasn't a luxury stay but if you're just going to be in and out of the hotel and only need somewhere to sleep, that's cheap and in walking distance of restaurants and bus stops then I would say this is right for you. Overall we had a lovely (yet tiring!) 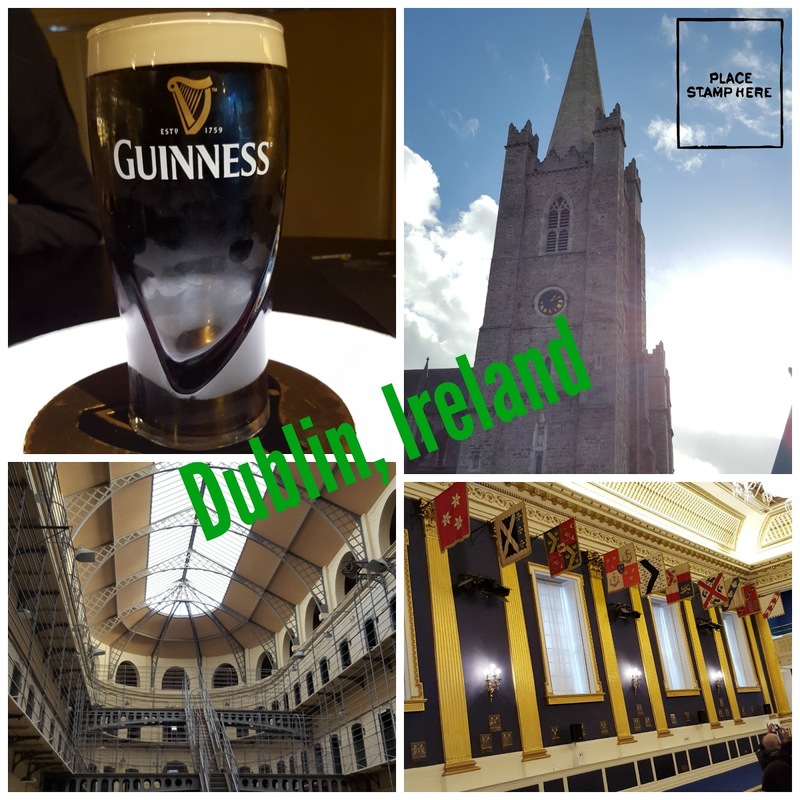 trip to Dublin. It was a quick 3 day trip in the week but we fit a lot in and I was home in time for work the next morning. Admittedly I had my doubts because I read a lot of views online that Dublin was a rough area. I was originally planning to go alone but everyone I told had doubts due to hearing that it was rough. Despite this I experienced zero problems in Dublin and never felt unsafe. To be fair Dublin is a capital city and whenever you're in a big city you should always take care of your belongings and making sure you don't walk in rougher areas anyway. And anyway, contrary to this we met many lovely Dubliners who were very friendly and helpful! If you're wanting a budget friendly, last minute city break then I think you should really consider Dublin. I'm glad I visited and it was a great experience. The flight out there with RyanAir was only £9.99 too! I'm sorry this was so long- I had so much to say! Nevertheless I hope this was interesting to read and that you would enjoy seeing more posts like this when I visit more places this year. There is so much more I could say and so much I have missed out but I'd be writing a long essay otherwise! My 9th empties?! But this one is special, because this one is all about my empty hair products. If I had to pick something I liked the most about my appearance, I think I would choose my hair. I dye my hair and use straighteners on it often. So I do like to look after it! TRESemme Salon Finish Extra Hold Hairspray- This hairspray looks so manky now! A little goes a long way with this big can and I have honestly had it for years. I don't like to use hairspray all over my hair, but only on the baby hairs at the top of my head as they stick up too much for my liking naturally! Batiste Dry Shampoo Coconut & Exotic Tropical- My holy grail, my best friend, my saviour on a weekly basis. I can never express my love for Batiste dry shampoo enough. L'Oreal Studio Line Hot & Sleek Heat Protector- I straighten my hair frequently so something to protect my hair from heat is necessary. It is a cream texture and goes on to damp hair with ease. I run it through with my fingers then use a comb to spread it evenly. Works a treat! 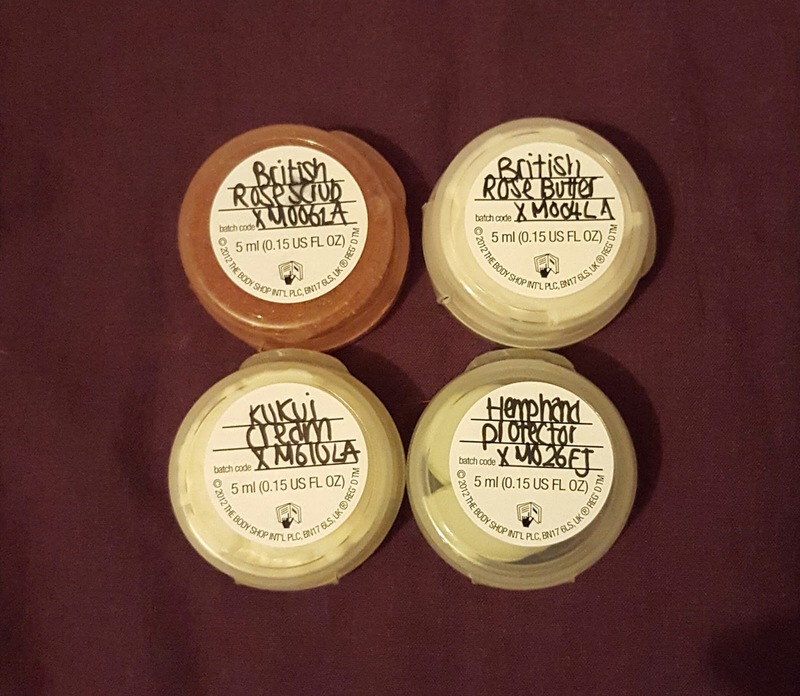 Schwarzkopf BC Bonacure Moistuire Kick Beauty Balm- I tried this sample size when it came in my goody bag from Bristol Fashion Week and I really loved it. 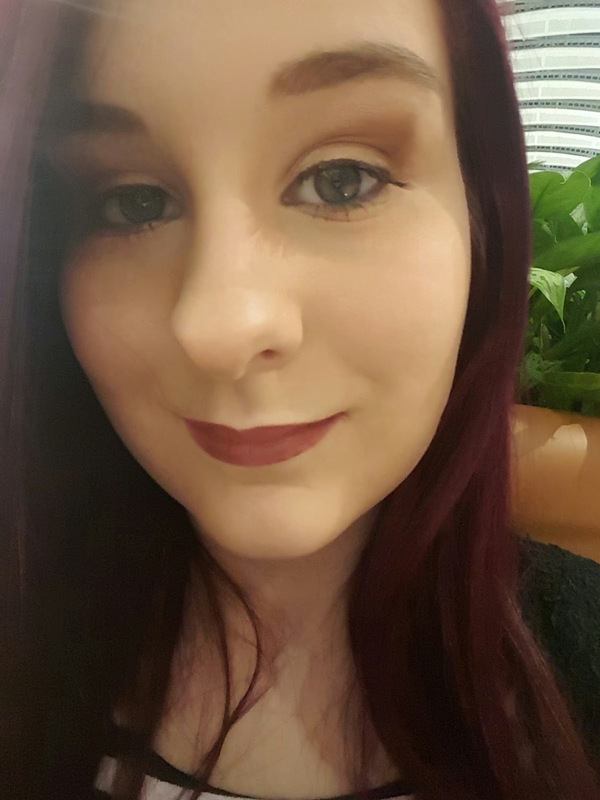 I liked applying it to the ends of my hair because I suffer from split ends and it really made my hair feel thicker at the ends and looked after it! 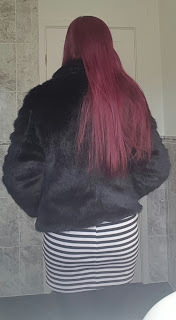 I also liked using it the front of my hair where I use the straighteners the most because sometimes the baby hairs can look a little frazzled. Great stuff! 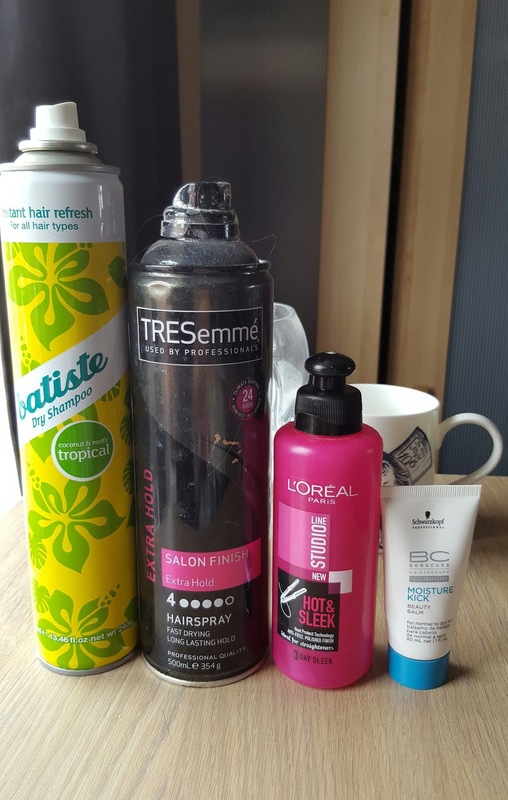 If you would like to read my previous empties post, click here. What are your haircare favourites? 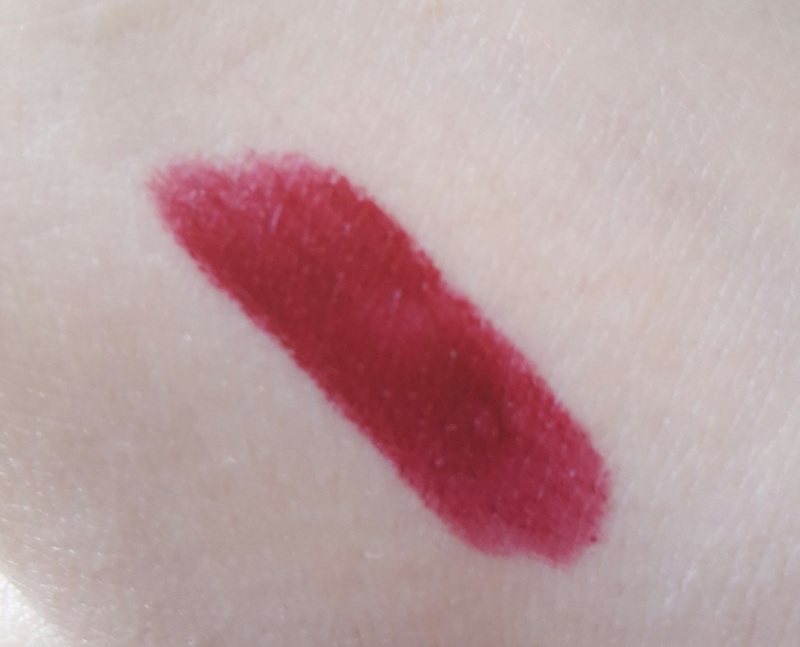 I swatched this lipstick on my trip to Dublin so when I got home I bought it straight away! This is MAC Sin. It is a matte lipstick and on the MAC website is described as a 'deep dark blue red'. In my own words, I would describe it as a dark, bold brown with hints of of a dark red. This lipstick just screamed my name! 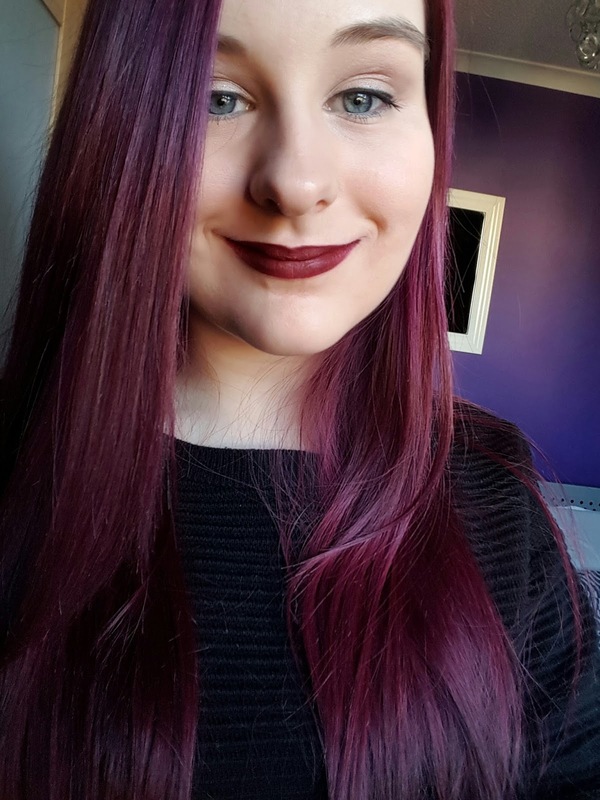 I am a lover of a dark, bold lip so this colour is very me. 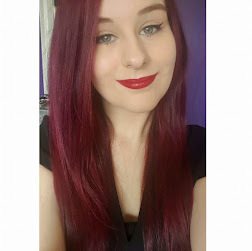 I mostly only wear matte lipsticks as it is my favourite finish and it is certainly very matte. I love how it looks on my lips and I like to wear it when I'm channelling my 'inner goth'. It would certainly be a great colour for Winter and Autumn, however I would certainly wear this all year round. Unfortunately it does have some downfalls. It takes so long to apply!! 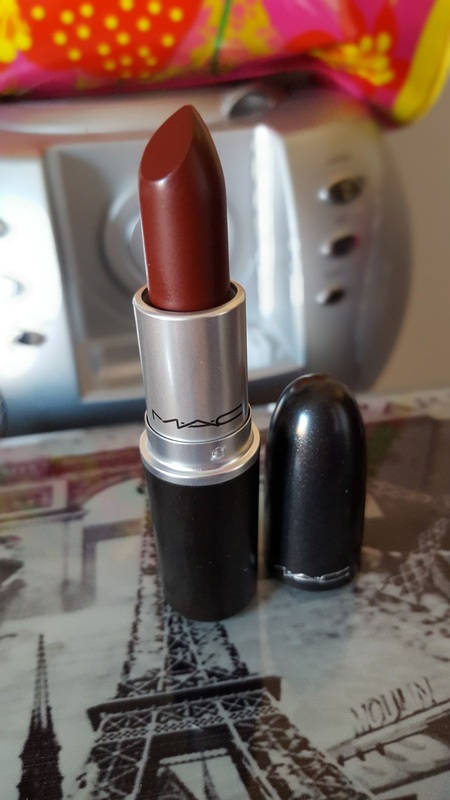 It is a very dry texture as I do find with MACs very matte lipsticks. This means it kind of drags on your lips and probably wouldn't do so well on dry lips. Also, because of the colour you need to make sure you apply carefully because if you mess up the outline of your lips then it takes a lot to correct. I don't use a lip liner with this but I am certainly considering buying one for this to make application easier. It is probably the lipstick that takes me the longest to apply as you've got to get the shape perfect. A lip brush is your best friend with this! My other negative is that it is a lipstick you need to keep an eye on during the day for maintenance. If I eat or drink I lose a lot of the colour on the sides of my upper lip which is very obvious with such a dark colour. It's alright on my lower lip but you will need to reapply around the sides of your mouth. Despite it being a high maintenance lipstick, I still love it and do not regret buying it. 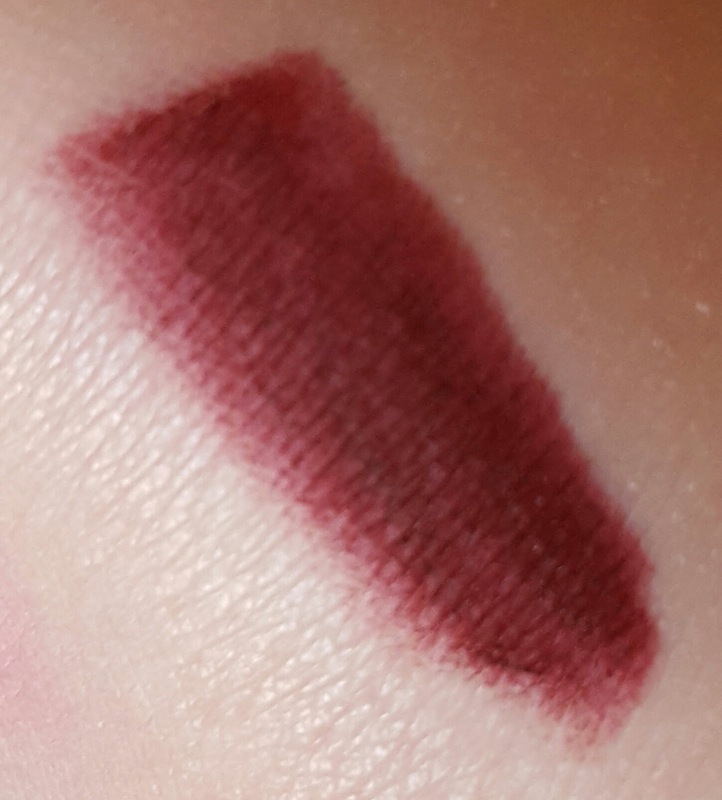 It is one of my favourite colours to wear on my lips and I find myself always wanting to look at it! 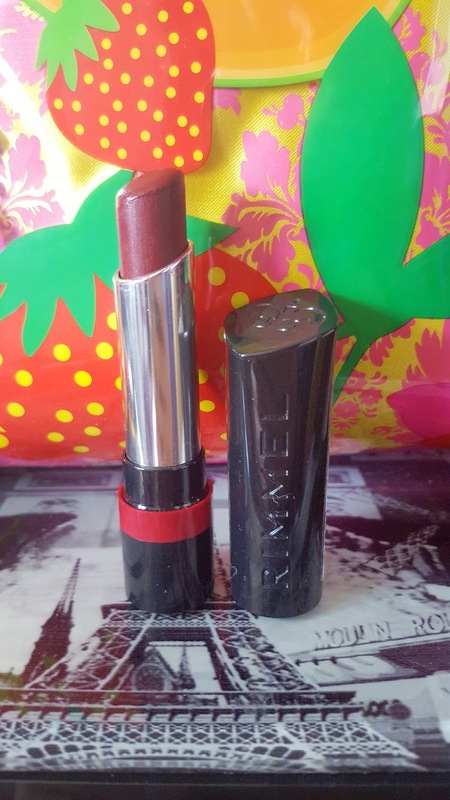 If you don't mind a bit of maintenance and have time available to you so you can take time to apply it right, then this lipstick is totally worth it. A steady hand is needed and practice makes perfect. It wouldn't be one you could apply quickly when you're running late but it would be the one to make a statement and bring your make up look together. Do you love a dark, bold lip? I do no matter what time of the year! So White (a clear play on of Snow White) doesn't look like an exciting bath bomb. Contrary to Lush's usual style, this bath bomb is just a plain white round ball of fizz. 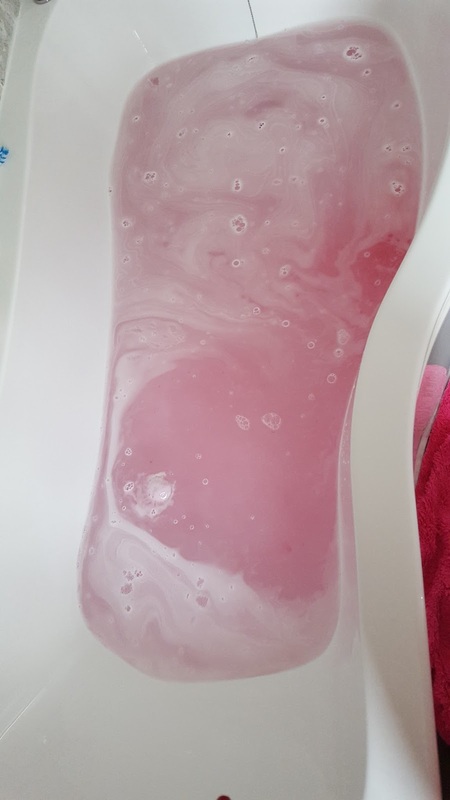 However, if you look closely at it you can see flecks of baby pink, suggesting that this bath bomb is about what's on the inside. Let me tell you, this is the slowest fizzing bath bomb I have ever used! 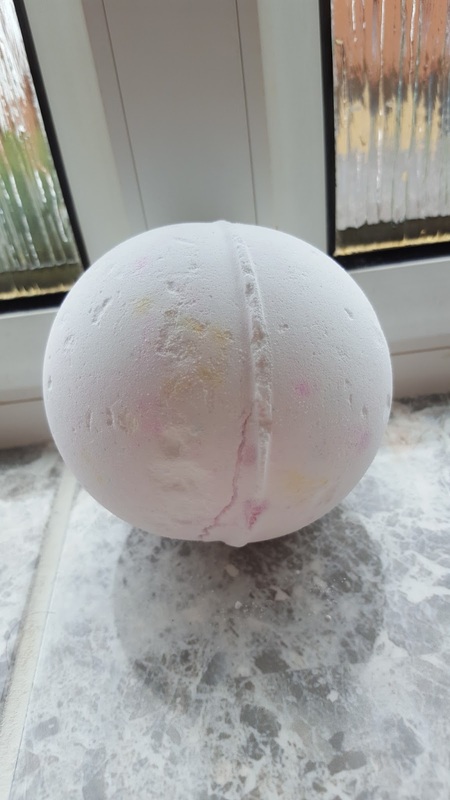 I usually wait for my bath bomb to fizz out before I climb into the bath but with this one I had to get in otherwise it would've have gone cold! I didn't time how long it took to fizz out but I'm pretty sure it took the longest out of all the bath bombs I've tried over the years. Despite it not being the quickest of fizzers, it certainly is one of the most active ones. This one travels all around your bath in a rolling motion and doesn't really stay still. At first it fizzes white, which you would expect, but then lets of bursts of red/pink colours whilst the white forms in to froth sitting at the top of the water. I like it when bath bombs have white froth that sits on top of the water because it usually makes it quite soft and leaves a moisturising feel on your skin. By the time it's done you are left with a baby pink coloured bath. Not my most favourite of colours, but nevertheless pretty. The ingredients include citric acid, cream of tartar, orange blossom absolute and bergamot oil. I didn't notice any particular smell but you would think from the ingredients that it would have some sort of citrus scent. So White is unfortunately unavailable right now as it is part of the Christmas range, however this is a repeat product so will most likely be around next Christmas too. Overall this bath bomb was nice but not to my usual taste of exciting bath bombs. But if you love pink and white and the bath bombs that are just simple then this would be one for you. Have you used So White? At the beginning of last year I didn't really think much of the faux fur coat trend. If anything, I thought they were a bit over the top looking. Yet nearer the end of the year I started to really like how it looked so my Mum got me one for Christmas. This is the black faux fur shawl collar coat from New Look. It was originally £44.99 but is currently on sale at £25.99. 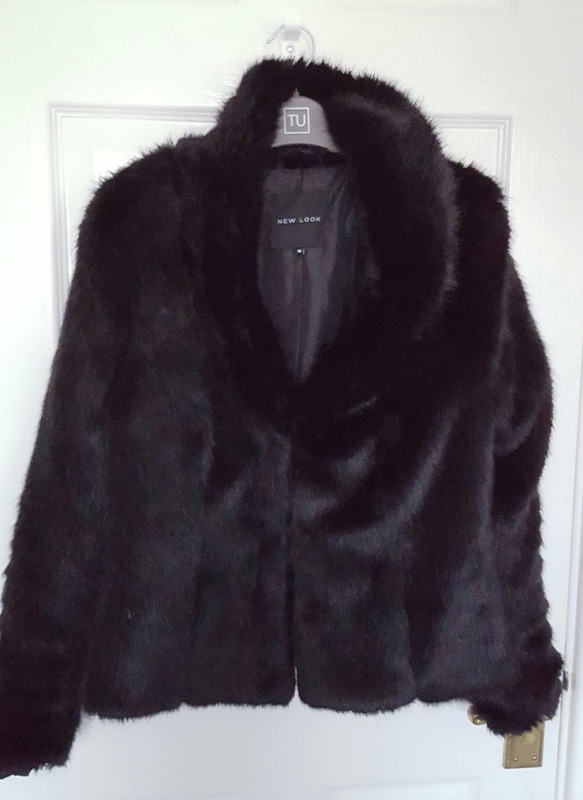 It is the black version and isn't a long fur coat as it sits on your hip. You have the option of having it open or you can do it up with 3 hidden hooks on the inner part of the material. I love and adore this so much. It is SOOOO warm! I love being able to snuggle up in this when I have to face the cold weather and it really does help to keep me insulated. I have also been known to have it over me as a blanket inside and rest my head into the fur collar. I also love how much it brings to an outfit. I could just be wearing a simple jeans and top combo and this coat would just bring some edginess and what I like to call 'sassiness' to it. But my favourite way to wear it though is with leggings. I currently like to pair it with these wet look leggings with zips on the knees and boots with buckles which really gives me the biker/rocker vibe. It is also lovely with a tight fitting dress and it does admittedly make you feel quite confident. In terms of sizing, I am normally a size 10 and I found that the size 10 fit me fine. I did consider going up to size 12 but it looked slightly too bulky on me. My Mum also bought my sister one but we decided to go up a size because her normal size would have been too tight around her chest. So if you have a bigger chest ladies, it may be worth going up a size! I will say though that if you are going to have a coat like this then you need to check the weather forecast beforehand. You don't want to be caught in the heavy rain with this on because the fur gets soaked and you have no hood! Also, you will get the occasion hair that sheds. It isn't loads which can be annoying but you will notice one or two hairs (which always somehow seem to end up stuck to my face). 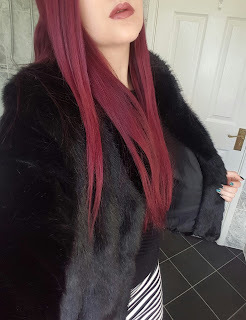 I'm really feeling the faux fur coat trend and I hope it stays because I am so down with that! 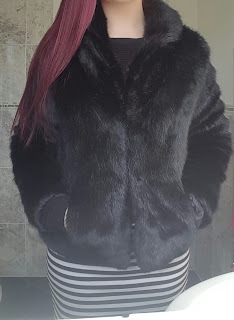 Do you own a faux fur coat? So far this year I have had gel nails done professionally (for the first time!) but now I have started to paint my own nails again for a while. They may chip more easily and take more time for me to do but it is definitely a cheaper option and I have more of a colour range at home! On the majority of my nails I am wearing Essie 'Jump In My Jump Suit' which I got in a Essie Winter Collection back in 2014. It is an ever so slightly deeper red and gives that classy look to your nails. 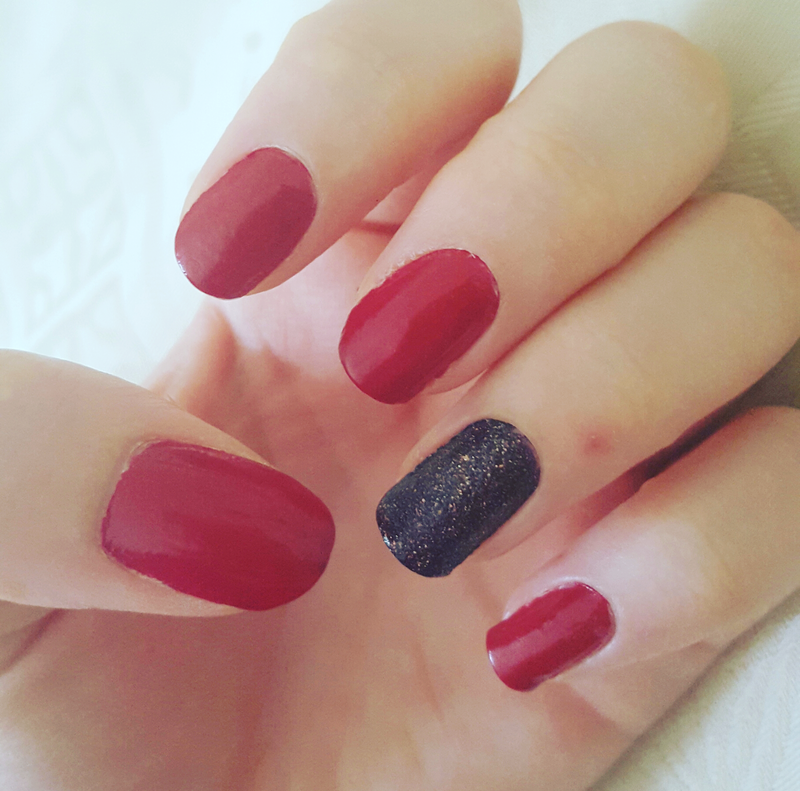 As accent nails, I painted my ring fingers a different colour. 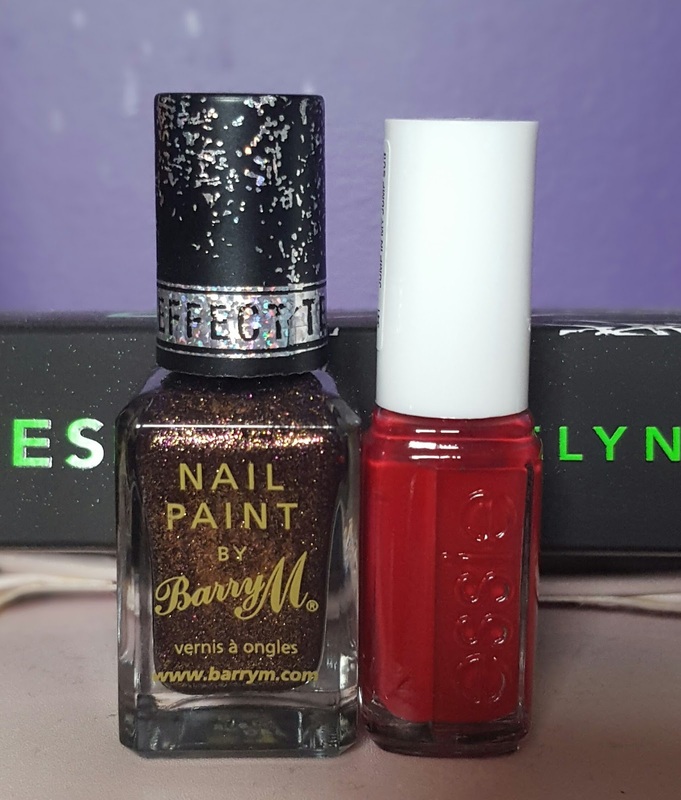 For this I used the BarryM Nail Paint Textured Nail Effects in 'Countess' (which instantly makes me think of Lady Gaga in American Horror Story). The base of this nail colour is brown with hints of purple. There are also gold flecks in it which help make up the textured feel. It is hard to describe but the nail polish feels bumpy with grains. I like this because it adds something else to your manicure and looks pretty cool! Additionally it seems to make the nail polish last longer as they haven't chipped at all! What are on your nails? 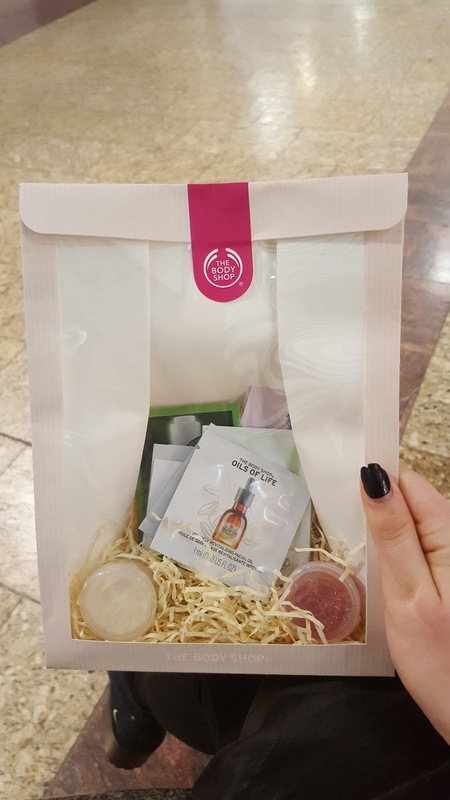 For years I have loved The Body Shop, particularly their tea tree range, so when I heard that the shop at The Mall Cribbs Causeway were holding their first blogger event I was excited. Upon arrival I was given a drink and some heart shaped chocolates (which were delicious!) whilst being introduced to the team. 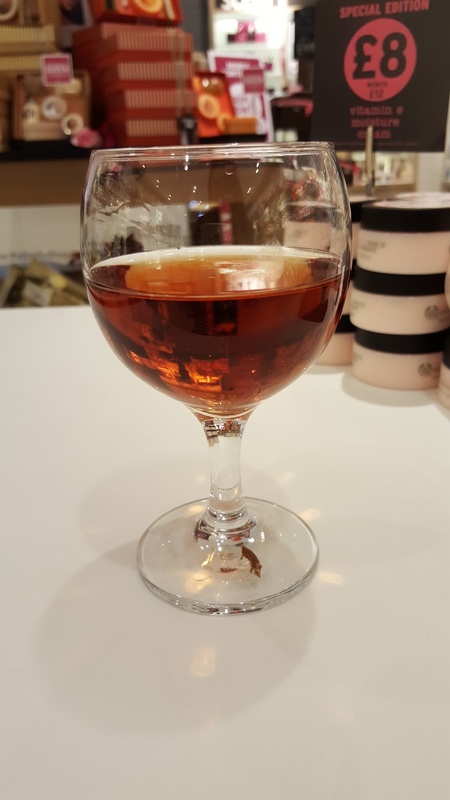 The first activity I did was have a hand massage with some lovely new products from the British Rose range which were released for Mothers Day. The store just had sinks put in so the lady run my hand under warm water and massaged a scrub, an instant glow body essence and body butter into my hand whilst telling me some facts about the range. She then finished off by spritzing some of the eau de toilette on to my wrist. The massage was relaxing and my hand felt like jelly afterwards! The next thing I did was have a make up consultation with another member of staff. She asked me what I was interested in which I replied were the eyeshadows. We picked out some eyeshadows and she used them on me to make a neutral smokey eye. It felt quite therapeutic having my make up one which I've only had done once before and I really liked the results! 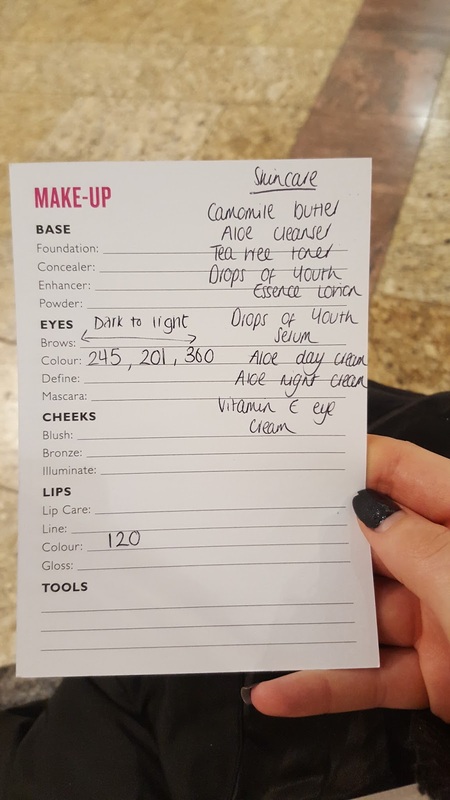 We also had a look at the purple and brown lipsticks and she wrote down for me all the products that we looked at. The last step was a skincare consultation. I sat down with and a different lady and she asked me a few questions to determine my skin type and what I wanted to achieve with my skin. I described my skin as blemished to normal with slightly dry patches around my eyes. I also said that I want to achieve an unblemished, even skin tone which is youthful. She then tried some products on my hand which were tailored to my specific skin needs, explained the uses and benefits for them and wrote me up a day and night skincare routine. 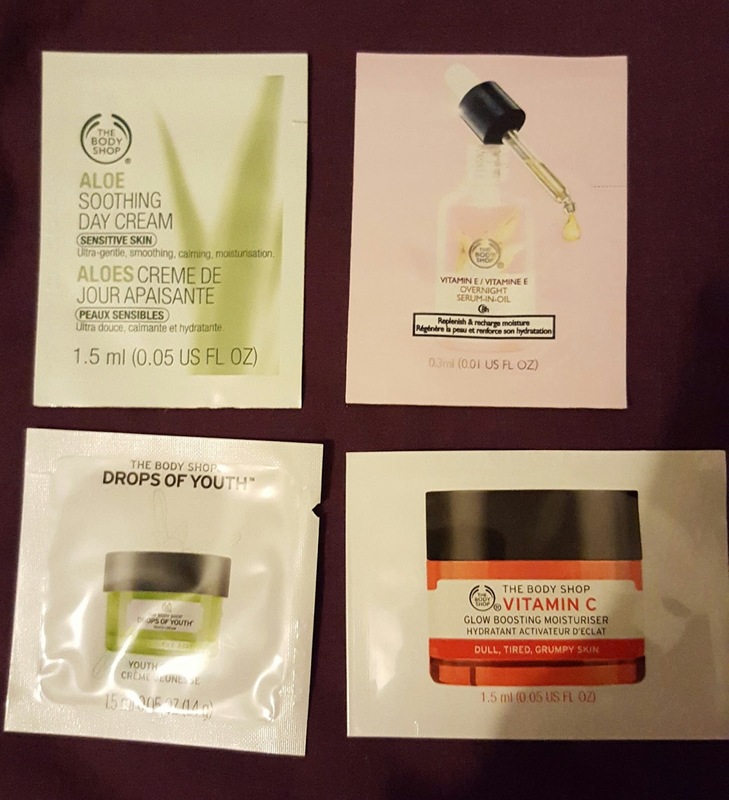 The products I liked trying the most were the Aloe night cream, the Drops of Youth serum and the Camomile butter. I'm definitely going to have to make some purchases soon! The overall experience was very nice and the ladies who worked there were absolutely lovely. They were extremely helpful and were really interested in blogging. They even gave us a little goodie bag which I was grateful for as there were some samples in there that I wanted to try. I do hope they hold another event soon! 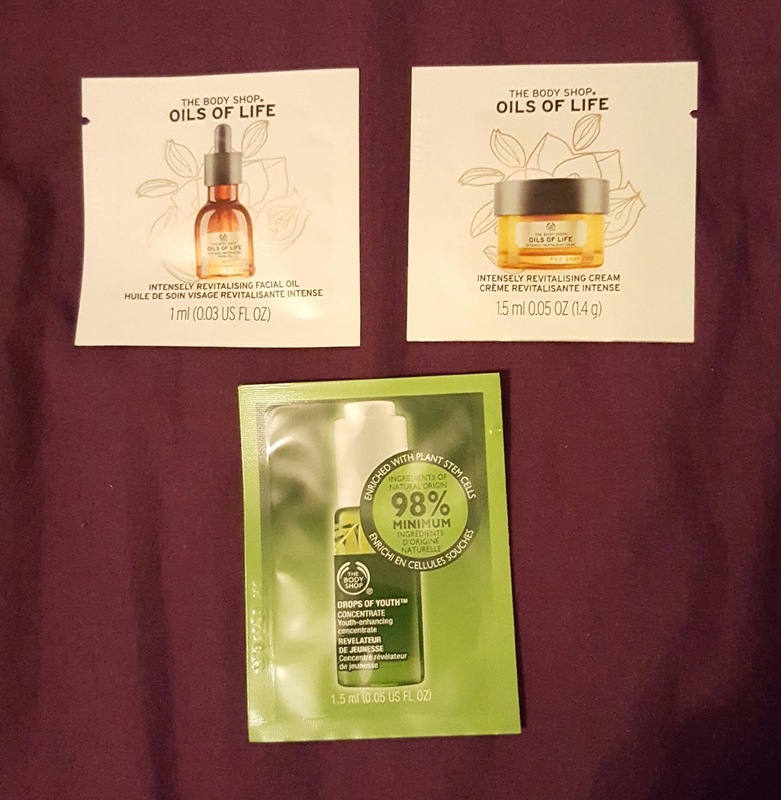 Thanks The Body Shop team at The Mall Cribbs Causeway!